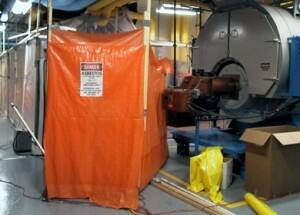 At Tri-Phase, our services include the remediation and abatement of all types of hazardous materials including asbestos, mould, lead, PCBs, mercury, arsenic and guano. 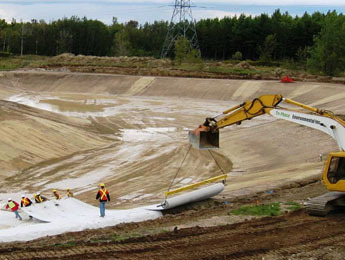 We secure all required permits and develop site-specific health, safety and work plans. 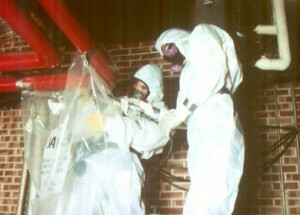 Tri-Phase offers comprehensive solutions for your asbestos removal and asbestos abatement project needs. We do asbestos surveys, testing and sampling, as well as removal at all abatement levels and disposal of all materials containing asbestos including transite, tile, roof, insulation, mastic siding. We also provide interior renovation and restoration services for remediated areas. We are specialists in floor-covering removal and concrete surface preparation services. We use the latest ride-on flooring removal and shot-blasting equipment to remove tile, carpet, epoxy, elastomeric and rubberized coatings, asbestos and lead floors, sports/gym floors, hardwood, stone, ceramic and more. Our employees have all necessary and required safety training including Ministry of Labor (MOL), asbestos worker and asbestos supervisor certification. The Tri-Phase staff is trained and experienced in all levels of mould abatement procedures and has successfully remediated a variety of mould contaminated architectural finishes from all types of commercial, industrial, retail and institutional settings. We have also abated and restored hundreds of homes that have been contaminated with mould as a result of marijuana growing operations. Mercury is highly persistent in the environment and has been shown to accumulate in the food chain. Elemental mercury and mercury compounds are toxic and are considered a hazardous waste. Accordingly, equipment containing mercury is required to be packaged, transported and disposed of properly as per applicable regulations. Mercury is used in a variety of manufacturing processes and products such as thermometers, lighting switches and fluorescent bulbs. We have completed hundreds of projects involving clean up of mercury spills, as well as the removal and disposal of mercury-containing equipment and bulbs. At Tri-Phase we make sure that your Polychlorinated biphenyls (PCB) waste is properly packaged and identified in accordance with all applicable regulatory agencies. However, in order to keep the disposal costs to a minimum, we also ensure that the PCB waste is segregated, labeled and optimized in order to have a homogeneous waste stream. Over the years we have developed an expertise on a wide variety of PCB waste handling services such as in-situ dismantling of ASKAREL Transformer types and replacement to accommodate buildings and hard to reach places, site characterization and site decommissioning. We have all the necessary training and Ministry of Environment (MOE) permits required to perform all types of PCB handling work. For More information on PCB’s please refer to PCB Management and Clean-up. Bird droppings can pose a risk to human health as they may contain minimal amounts of lethal bacteria such as E. coli. Guano is typically found in commercial or industrial buildings where birds have had a chance to settle. Although there are no enforced regulations related to guano clean up the same precautions and safety procedures should be followed when dealing with hazardous or biological waste. The work should be performed by a professional remedial contractor. At Tri-Phase we have completed several projects involving this type of clean-up and have the experience in methods of guano cleanup, handling and disposal.